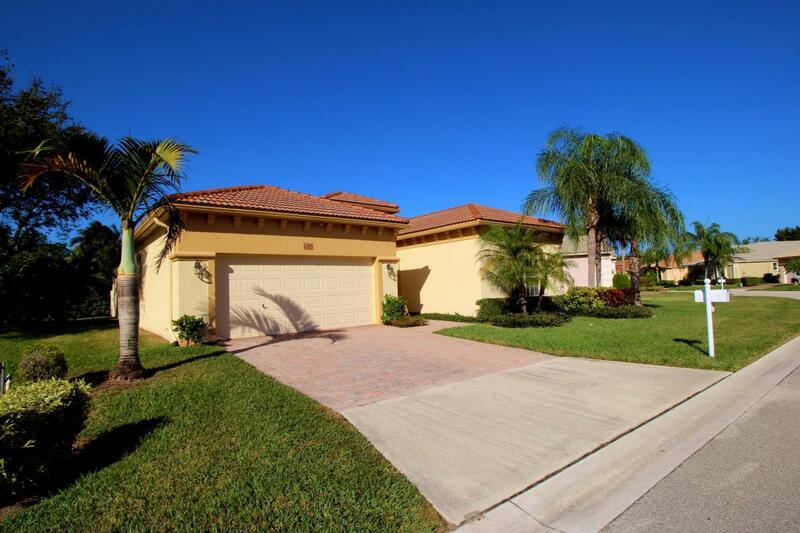 Beautiful & pristine 3BR/2.5BA with great layout for family living & entertaining. One of the largest lots in the community, with lush ficus hedges for privacy - room for pool AND more. Fully renovated just over 2 years ago - new flooring including berber carpeting, new paint, new blinds, new countertops & new appliances throughout. Must see! Large eat in kitchen with marble counters, lots of cabinets and island. Energy efficient solar window tinting, sensor controlled outdoor lighting for daylight savings & ceiling fans in all rooms. Great layout, split floor plan, high ceilings. Electric-start garage BUILT IN generator, built-in whole home surge protection. New high end kitchen & laundry appliances. Newer high-end AC. Great neighborhood & amenities for all ages. HOA includes lots!